and it is realistic to expect that silver will eventually escalate dramatically in price. How much? This article applies the historical gold:silver ratios to come up with a range of prices based on specific price levels for gold being reached. By Lorimer Wilson (www.munKNEE.com) – “ The internet’s most unique site for financial articles! (Here’s why)”. First let’s use the price of $1,300 for gold and apply the gold:silver ratios mentioned above in approximate terms and see what they do for the potential % increase in, and price of, silver. Now let’s apply the projected potential parabolic peaks of $2,000, $3,000, $5,000 and $10,000 to the various gold:silver ratios and see what they suggest is the parabolic top for silver. This fiat currency experiment will end badly in a currency crisis and when that happens, as it surely will, gold will go parabolic and silver along with it – but even more so – as the gold:silver ratio adjusts itself to more historical correlations. Previous Are There Possible Alternative Solutions To Gold Were Fiat Currency To Collapse? RE: First let’s use the price of $1,300 for gold and apply the gold:silver ratios mentioned above in approximate terms and see what they do for the potential % increase in, and price of, silver. Today 05/09/14, Gold is $1287 and Silver is $19.15, which tells me that not only is Golds value being depressed but Silver’s value is being even more suppressed! Therefore it is logical that when both “recover” as the value of the US$ declines against other currencies, both Gold and Silver will rapidly return to the values mentioned in the above article, especially if the rest of the World decides to begin to not put all its money into US$ as they are now doing by trading with each other in other currencies than the US$. Is either Gold or Silver subjected to “naked shorting” more than the other and if so which has been affected to a greater extent? If as I expect, Gold has been “manipulated” far greater by “naked shorting”, then perhaps this is yet another reason why investors will begin to add ever more Silver to their holdings, which will increase both Silver’s demand and value! 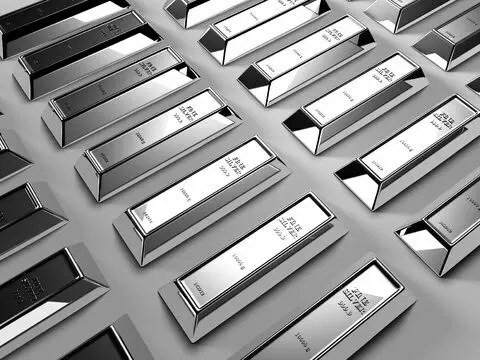 As I’ve posted before, I believe that Silver may be the better choice in the near future because of the buzz around wearing, owning and trading Gold… For many it attracts far too much attention, especially from the Gov’t. Salute for a GREAT article which I believe will change the thinking of many PM investors!